You must be a member of the Copenhagen Books for Personal Growth Group to attend this activity. Would you like to join this group? 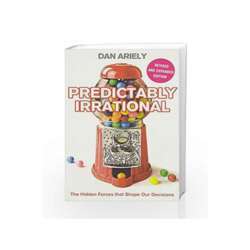 "Predictably Irrational explains why we decide to diet and then give it up as soon as we see a tasty dessert? Why would your mother be offended if you tried to pay her for a Sunday meal she lovingly prepared? Why is pain medication more effective when the patient thinks it is more expensive? The reasons and remedies for these and other irrationalities are explored and explained with studies and anecdotes." You do not need to have read the book entirely to attend, but please make sure you come a bit prepared.